Let the revolutionary Bayliner Element be the start of something new for your family. A brand new model, the E7 is the biggest of the ‘Element’ series. It’s ‘M-Shaped Hull’ improves stability and maintains level floatation through turns. 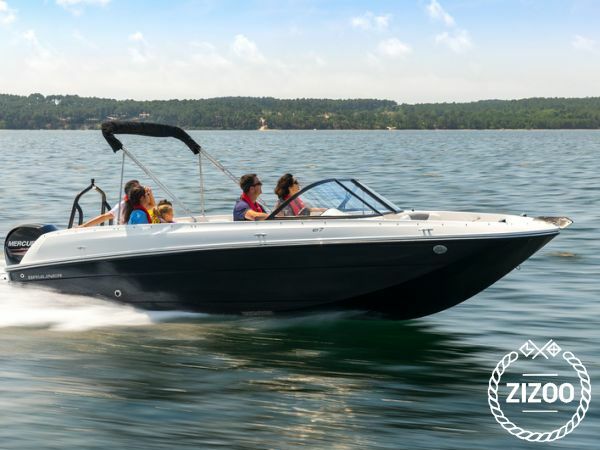 It puts boating within easy reach with a stunningly affordable price, familiar automotive-style handling, and class-leading stability and safety features. Plus it has the power and comfort features to get you to the fun spots and ensure you enjoy yourself. This boat is ideal for days out with friends and family and offers flexible seating and ample storage.